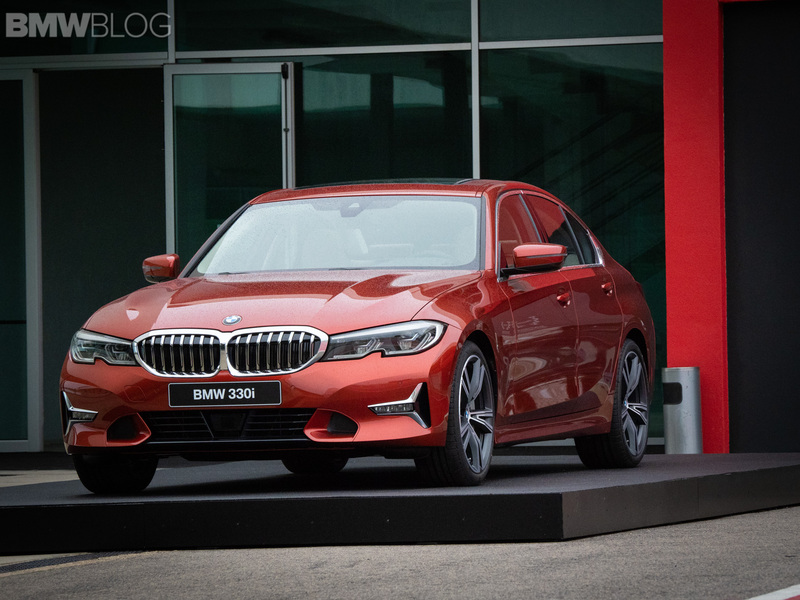 From Portugal, we bring you the first real life photos (at least known to us) of the G20 BMW 3 Series with the Luxury Line package and painted in the Sunset Orange color, a paint offered on the new M2 Competition and even the new 8 Series. 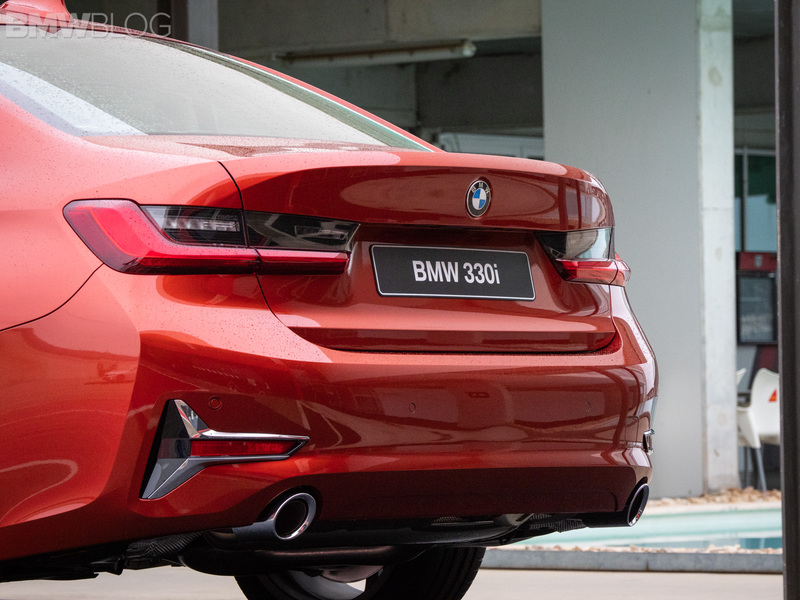 Compared to the 330i with M Sport Package we’ve seen yesterday, the Luxury Line on the 330i features a redesigned lower front bumper and air intake with little sideways “T” shaped trim pieces that surround the foglights. 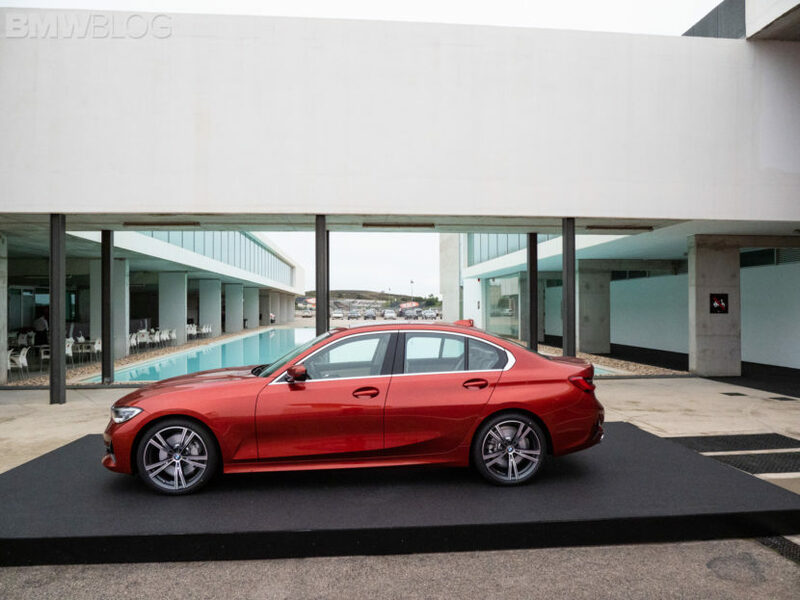 Those trim pieces are a bit different for BMW and a novelty in their design. They continue out back as well, flanking either side of the non-M rear bumper and it’s a way to clearly differentiate between the “Lines”. 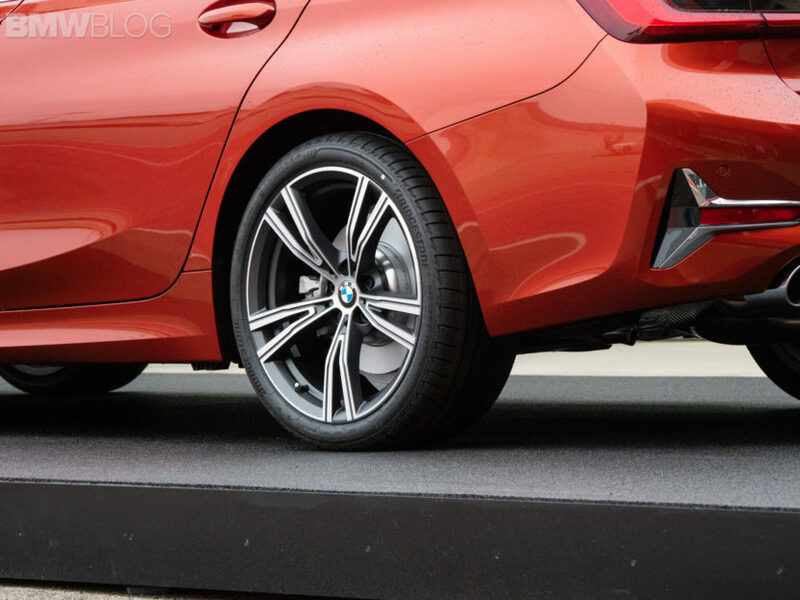 In the US, the standard colors are Alpine White and Jet Black, while for $550, you get additional options – Black Sapphire Metallic, Melbourne Red Metallic, Glacier Silver Metallic, Mineral White Metallic, Mineral Grey Metallic ,Mediterranean Blue Metallic, Sunset Orange Metallic, Vermont Bronze Metallic, Portimao Blue Metallic and Blue Ridge Mountain Metallic. 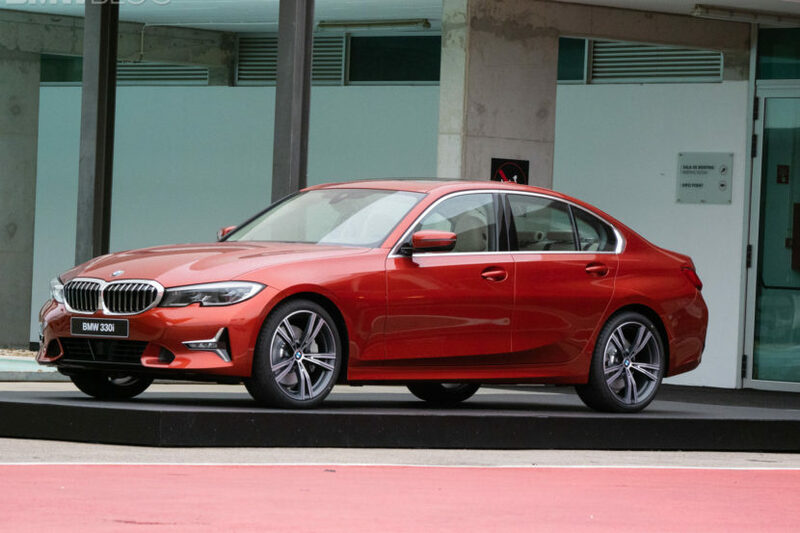 The 3 Series entry-level to the U.S. market – the 330i – is priced at $40,250 for the rear-wheel drive model and 42,250 for the xDrive configuration. Previous post Heavily Tuned BMW X5 M Arrives in Abu Dhabi, Might Be Too Much?